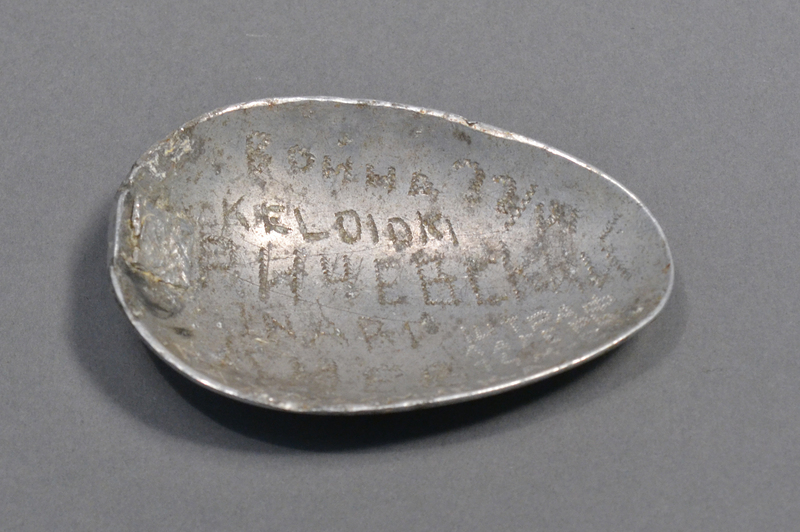 Ilya Krishevsky engraved inscriptions on this spoon, which is missing a handle. 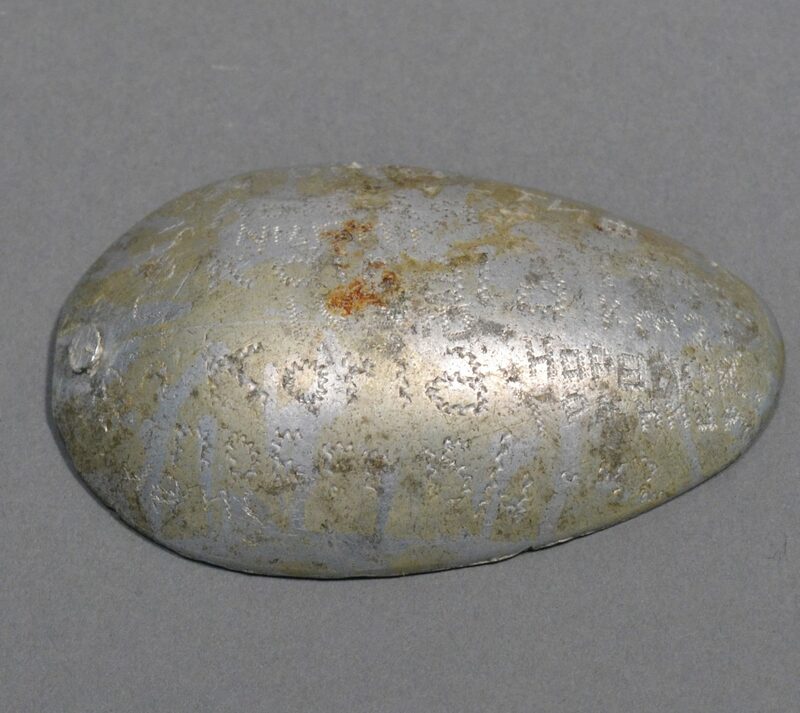 Together, these inscriptions tell his story from the war. One of them says, “Invasion of USSR June 22nd 1941”. 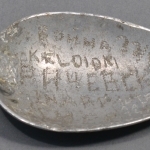 Ilya Krishevsky engraved inscriptions on this spoon, which is missing a handle. One of them says, “Invasion of USSR June 22nd 1941”. 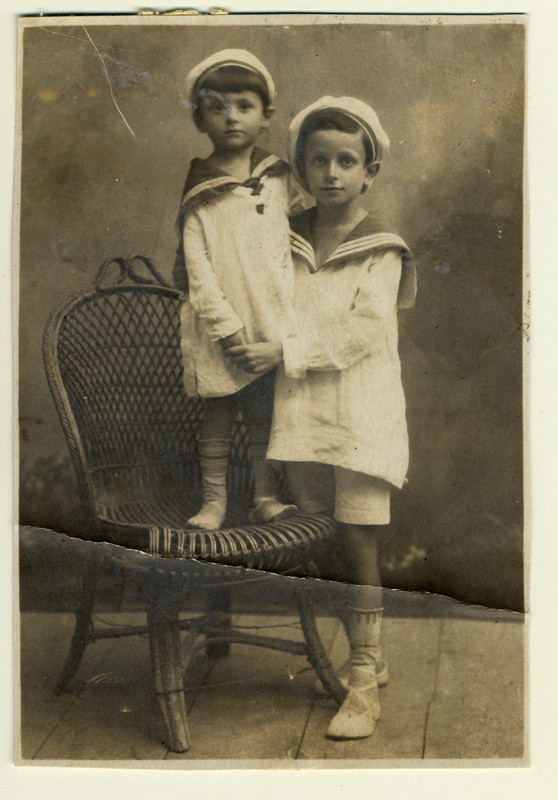 Ilya Krishevsky (left) and his brother Abram in 1920. 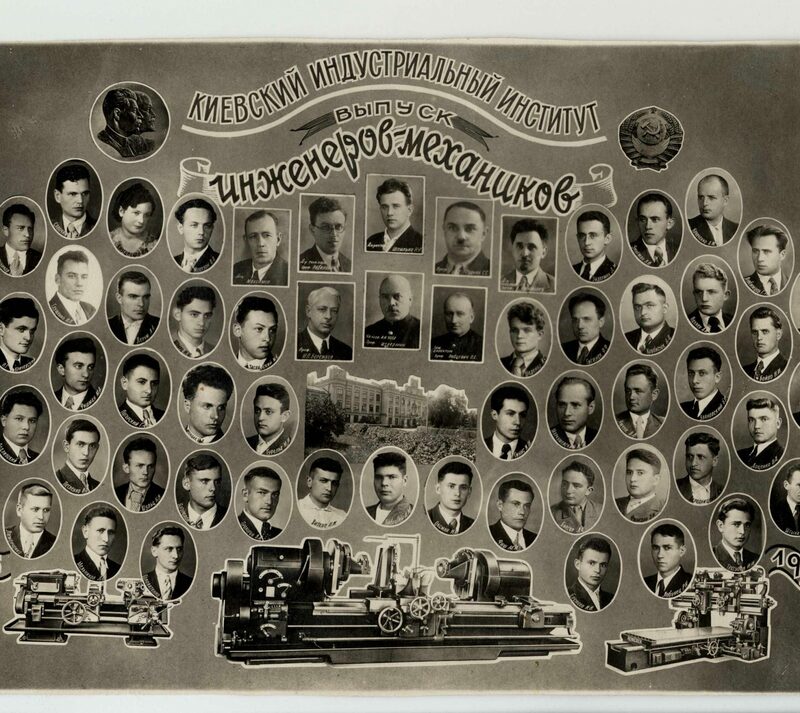 The 1935-1940 class of Kiev Engineering Institute. After graduation, all students were enlisted in the Soviet army. The code “Barbarossa” refers to the German invasion of the Soviet Union that began on June 22, 1941. The attack covered the Eastern Front, from the Baltic Sea in Northern Europe to the Black Sea. The Einsatzgruppen (mobile killing units) accompanied the German army and murdered the Jewish populations of every village they came across. Ilya Krishevsky, a Soviet soldier, was captured by the Nazis in Finland on September 13, 1941. He ate his personal documents to hide his Jewish identity. He was liberated in Norway by the British and Canadian troops in 1945. 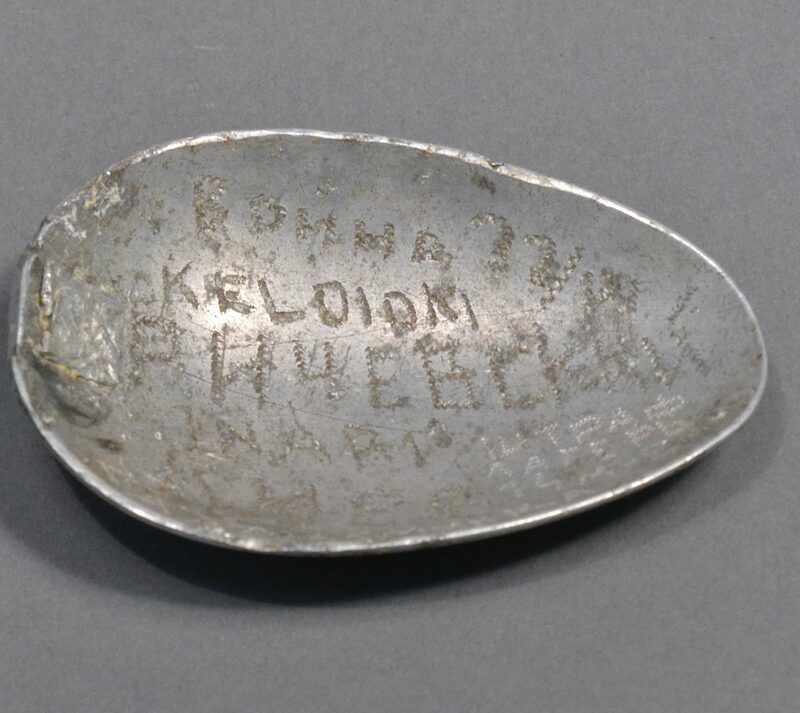 Ilya donated this spoon to the Montreal Holocaust Museum in 1988.